Case Keenum in Broncos OTAs. 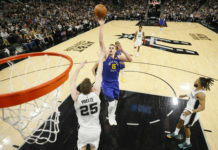 Credit: Ron Chenoy, USA TODAY Sports. 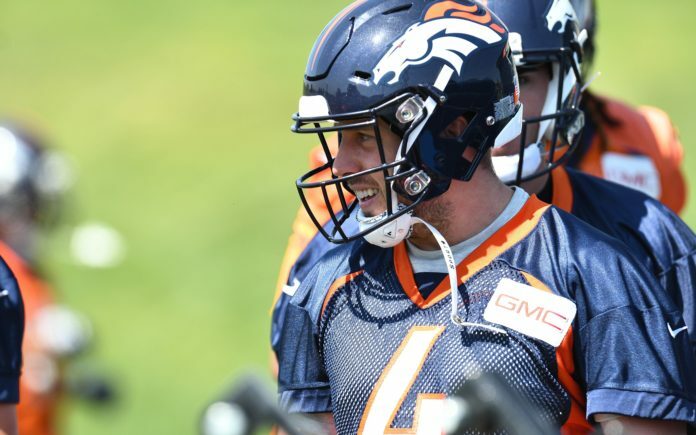 The Denver Broncos will have a refreshing feel at quarterback this year as Case Keenum takes the reins as the sole man on top of the Broncos depth chart. With no more competition, this allows for the Broncos to know their man and play faster as a team on offense, not worrying about small cadences, habits or tendencies to get used to with every switch of the quarterback. Every back knows how they will receive the ball. Every offensive lineman knows how to block for Keenum’s pocket tendencies. Every receiver knows how the ball with be thrown their way. Discussing the quarterback room and how it changes for 2018 is Broncos Blitz podcast host Ronnie Kohrt. Kohrt dishes on the key elements that offensive coordinator Bill Musgrave will need to unlock to get the Broncos to hum offensively at quarterback and how they will be successful. Click here to listen to the full Broncos Blitz podcast with Ronnie Kohrt, including what he had to say about Chad Kelly vs Paxton Lynch and more, or listen to the podcast below.